As much as I strive to be positive during my travel, an incident in Moscow really drained my positive energy. By the time I reached Moscow, I was very well prepared with how to handle the immigration and ignoring the stares from strangers. Honestly, it never crossed my mind that someone would have the heart to spit at other human being. I have learnt my lesson and of course I learnt it the hard way. 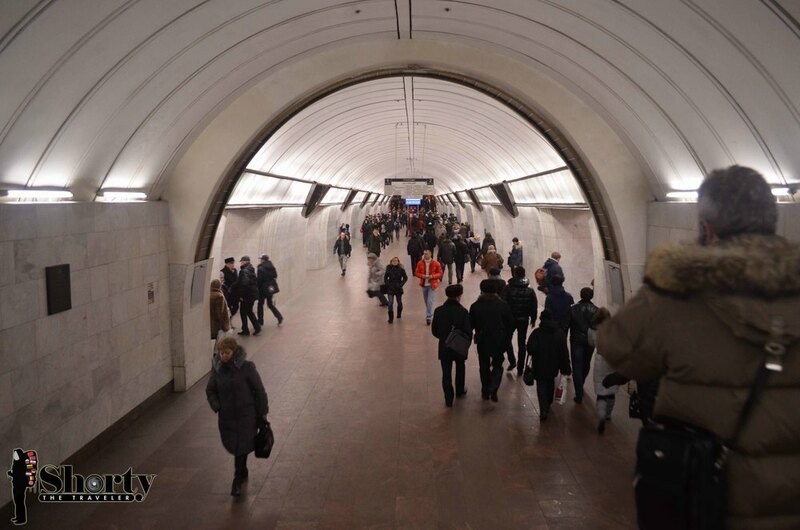 I hit rock bottom the very next day and I decided to just walk around Moscow. I bought some bread, went to the park and fed the birds while it was snowing. I kid you not when I tell you that people started to gather and took my pictures. 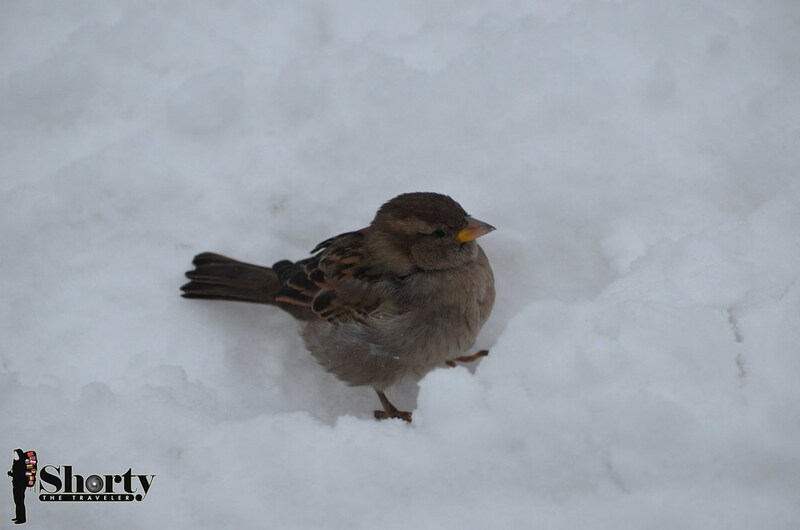 Who in their right mind would just stood and fed the little birdies at -2ºC? A crazy scarf clad woman, of course! It took me a few days to recover from the shock and a big thank you to my support systems for helping me to get over it. I was waiting for the pedestrian’s traffic light to turn green and I saw an old man on the other side of the road. The light turned green and I crossed the road, towards the old man. When I was closing by, he started saying something in Russian. Well, since my Russian’s vocabulary is non-existence, I just ignored him and continued to walk when he suddenly spat at me. I didn’t stop to confront him for I believed that it’d anger him more. The old man obviously is having a very strong rage inside and I pray that he felt much better after the incident. Glad that I could be of help! 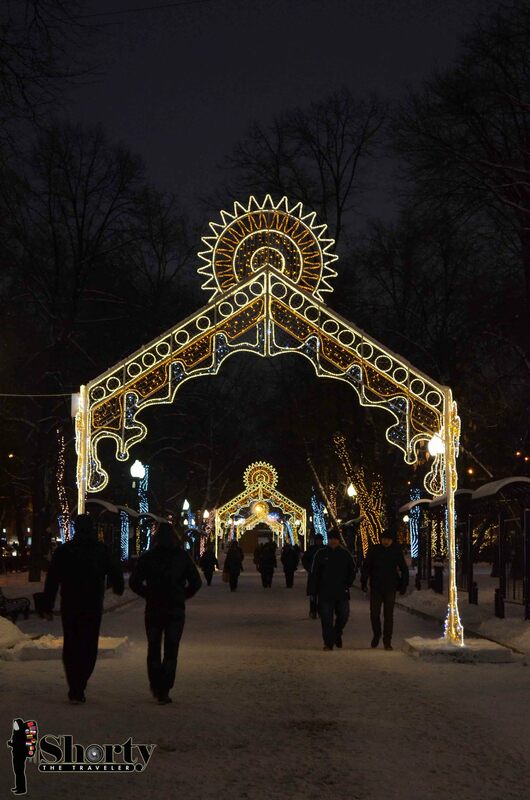 The temperature in Moscow dropped quite notoriously at night when I was there: -15ºC to -18ºC at night. I usually arrived at the hostel before 6p.m for the temperature combined with cold wind would be unbearable. Besides, I had a very lovely roommate who would always wanted to talk about her day though she could just speak a very basic English. It was also where I first met a Couchsurfing host, Anna. She was so kind to show me around Moscow with her friend (I totally forgot his name. SORRY!) And the best part? I was given a bouquet of roses as a welcome gift! Anna took me to Experimentanium that serves as an interactive museum of science and intelligent family entertainment center. There are lots of experiments on physiques and chemistry that you could try. I was excited to try the ball control game by wearing ‘mind reading’ headband. I sucked at this game for I couldn’t relax my mind. Well, I could only relax once I’m out of Russia. That is I’m certain of. 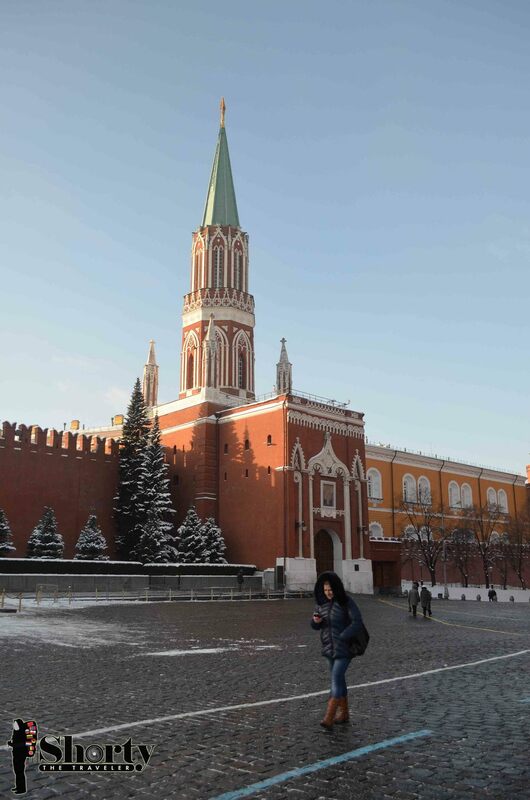 The visit to Moscow would be incomplete without visiting the Red Square, according to Russians. I made my way there by walking from my hostel for a good half an hour. Before you ask, nope I didn’t go to see the embalmed Lenin’s body. I have nothing against Lenin but the idea of seeing a dead body never is good for my tummy. Enough said. Anyhow, I made my way to St Basil’s Cathedral and I really was impressed with the labyrinth inside of it. Like any typical Asian, I was busy clicking away with my camera and next thing I knew I was already on the stairs leading to one of the domes. The stairs are narrow and of course not built with short people in mind. Fellow shorties: Consider yourself warned. And being a museum’s fan, I made my way to two museums in Moscow. The first one was Moscow’s Museum of Modern Art. It was such a shame that most of the descriptions are only in Russians. Or else I would have enjoyed my visit more. 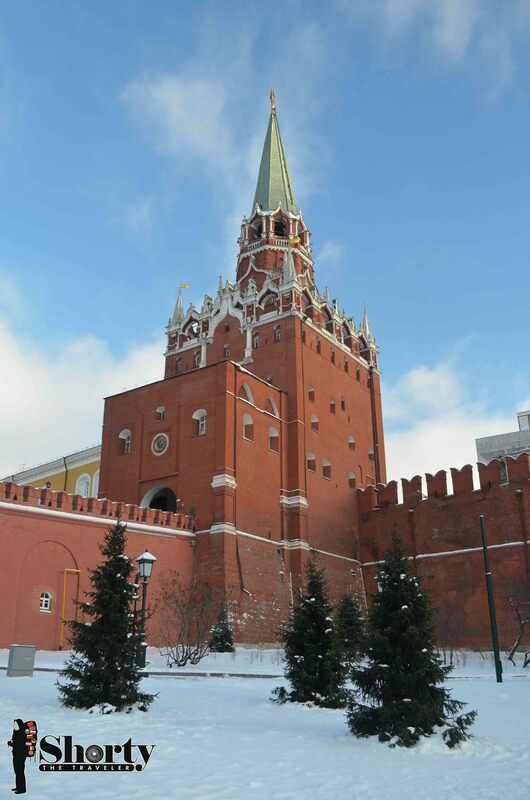 Moscow State Historical Museum, which highlighted the photographs of the Romanov’s family, was icing on the cake for I headed there for Napoleon’s exhibitions. Among the displays were Napoleon’s daybed and his shaving set, which I believe is crucial for the history freak so they could learn the art of shaving. But what intrigued me the most were the things in the French’s army rucksack. They not only had food in it but also linen and winter jacket among other things. Hail the French’s army for their great packing skills! Moscow’s subway stations made it to my must visit list for the stations range in design, from palatial baroque marble and granite structures to modern iron and glass. For some of the stations, you would feel like you’re in a palace instead of a Metro Station. I didn’t get to catch the themed train on Red Line. It would be grand to be in the Reading Moscow Train, which carries extracts from illustrated literary works for both adults and children. Oh well, maybe next time. Moscow somehow felt like any other big cities: too many people, too many cars and the people are a bit snotty I should say. Fortunately, the people that I met and had contacts with made me feel like home. Spasiba!